Meet Amos! 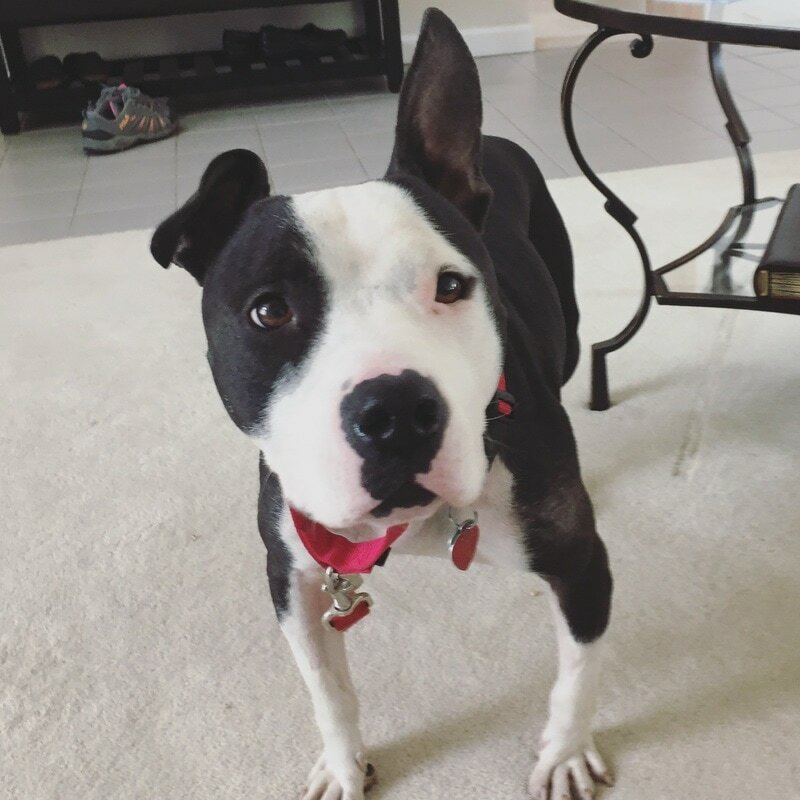 He’s a 3 year old Pitbull/Boston terrier mix looking for a home that will be just as much fun as he is. Due to his current owner’s health issues, he can no longer provide the care and training that Amos needs, and he believes Amos would do better in another home. ​Amos is around 45 pounds but he’s actually a short guy; he comes up a little below the knee on most people. Amos can be a little shy at first but once he warms up to you and feels comfortable, watch out! He's got a bunch of energy in a short little package. Amos would do great in a home where he is the only pet. He loves other dogs, but his enthusiasm can be a bit too much and he might come on really strong at first. For this reason, it's recommended that he not go to dog parks or doggie daycare as his personality is just a bit too strong for most dogs to handle. Amos would probably do well with older children but prefers adults because of his timidness. His owner’s granddaughter is working with Amos on his training but he still needs work. So a home where his new owners don't mind putting in the work to train him is ideal. Once he warms up to you, Amos really enjoys being around his people. He's a happy, exuberant dog just looking for the right home to fill with his huge personality. If you are interested in learning more about Amos please contact Casey Kennedy: casey.kennedy96@gmail.com for more information.